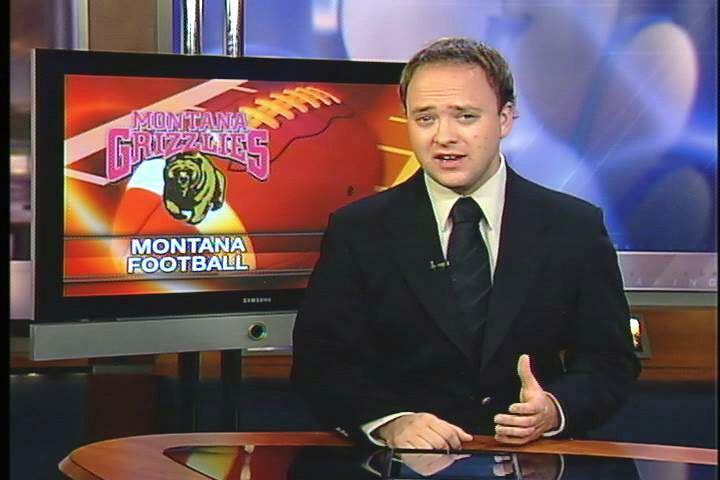 I currently work as the Sports Director for KECI-TV/NBC Montana in Missoula. I shoot, edit, script and produce sports highlights for our local newscasts and couldn’t ask for a better job. Not only do I spend my time around the sports that I love but I use every work day as an opportunity to tell a different story. Whether it’s a profile on a sophomore collegiate runningback, highlights from a high school softball game or a story on the football team’s fund-raising event to collect toys for kids in need: I take pride in improving the quality and effectiveness of everything I do. I’m a sports enthusiast that calls Montana home. I grew up in Kalispell and currently live in Missoula where I recently graduated from the University of Montana. I also have experience as the former news director of the KBGA College Radio station as well as a former host of a live weekly sports radio show. The sport of baseball is my biggest passion and I played for 11 years. However, I’ve dabbled in everything and have an appreciation for all sports. If you have any questions you can email me at vbagby@keci.com.